Yesterday on facebook I sent a post that had a link to a wonderful non-profit that helps people cope and deal with leaving a certain religion. I sent this as some of my facebook friends are either counselors who treat people who have left this religion, or they themselves have left the religion. Recovery from anything that might have caused people harm is important and offering information is an act of love and kindness so people can walk a path to healing. I had a few people who became upset because they were members of this religion and believe that people should not go into recovery. I even had one person who attempted to try to discredit my radio show as well as me by saying I do not walk the path of love and if I wanted to show people I could walk the path I had to remove the post. At first I felt anger. I do not care for people that use intimidation if you do not think just like they do. I pondered for many hours and finally meditated on it. I felt this wonderful wave of compassion for this person. I wrote a long drawn out statement then realized they would be unable to understand the message I sent because they needed to put conditions on what they said. Feeling unconditional love and peace for this person, I removed my rather long statement and simply sent them love and of course wished them to walk in peace. I was so grateful that this happened and the universe made it clear that this was simply an opportunity to share about unconditional love as so many people do not understand the meaning of unconditional love. 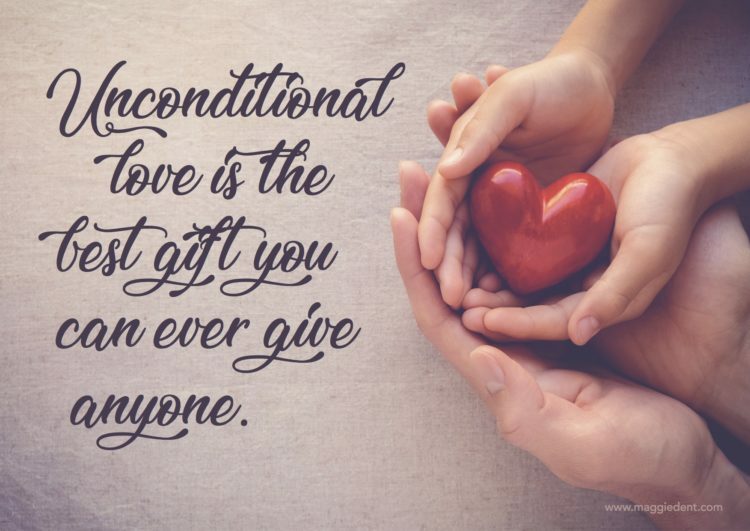 Today we are going to talk about unconditional love so people never have to back down and can walk their path, speak their truth and be the love they are. First and foremost, you must know unconditional love in order to be able to practice it. There’s only one kind of love that can fill us up, make us whole, and give us the happiness we all want and need. 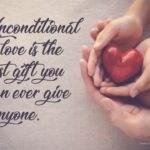 I believe it is through unconditional love that we intuitively realize that anything other than this kind of love isn’t really love, and clearly not unconditional love. You see, unconditional love is very different from the kind of love many people have known all their lives. It is caring for yourself and others with no conditions. No do this or else. It is caring about the happiness of another person without any thought for what we might get for ourselves. It is just back to the basic, love without attachment. If we don’t have unconditional love in our lives the resulting emptiness can be difficult. We may endlessly search trying to find meaning. Looking for new jobs, news homes, new people, anything to compulsively try to fill our emptiness with whatever feels good in the moment—money, alcohol, drugs, religion, violence, power, and the conditional approval of others. We may need to carry guns because we are afraid of life and even more afraid of love. Some people may become depressed while others experience always being on the go so they do not have to look at their lives. Most people spend their entire lives trying to fill this emptiness with some sort of love. Sadly all they achieve is an ever-deepening frustration, punctuated by brief moments of superficial satisfaction. That is when they become demanding and put conditions on love. So much unhappiness in our lives is due to putting conditions on love and trying to create happiness from a defective foundation of love that has limits. So how do we find this universal cure? Well unconditional love does not come and go. It just is. So understanding that is a great first step. Another step is sharing your love unconditionally with others sends out positive energy and that energy is of goodness and you hope people will take the energy of goodness and trust that they deserve it. An important concept to understand is when you provide unconditional love to others, you are not dependant on others for your personal happiness, but rather you derive your happiness from within. When someone puts conditions on their love, thank them, send them unconditional love and move forward. If they angered you, just repeat, “I send you unconditional love, I send you unconditional love, I am love.? This immediately removes much of the anger and hard feelings that builds inside of you because if you repeat statements of love in your mind and where there is love, anger cannot reside. Be sure to unconditionally love yourself first. Do not love yourself with some sort of exceptions; love all of you, all the time and share that love with no attachments. Remember that love is pure and does not require demands. Never let people tell you ever that you are not love. Know when people question you, they are simply questioning themselves.